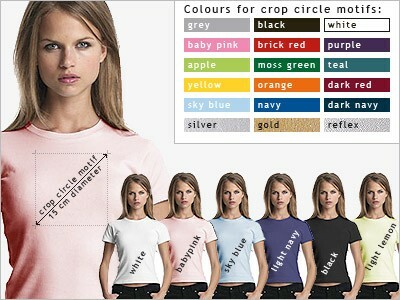 Girls t-shirt with crop circle design. Girls t-shirt with crop circle design. Different colours. Twin seam on sleeves and collar. Each shirt is wash-fast up to 30Âº C.
Crop circle motif: very thin and flexible film in different colours at about 15 cm diameter. We constantly review our sources of supply to ensure the best quality available to us.